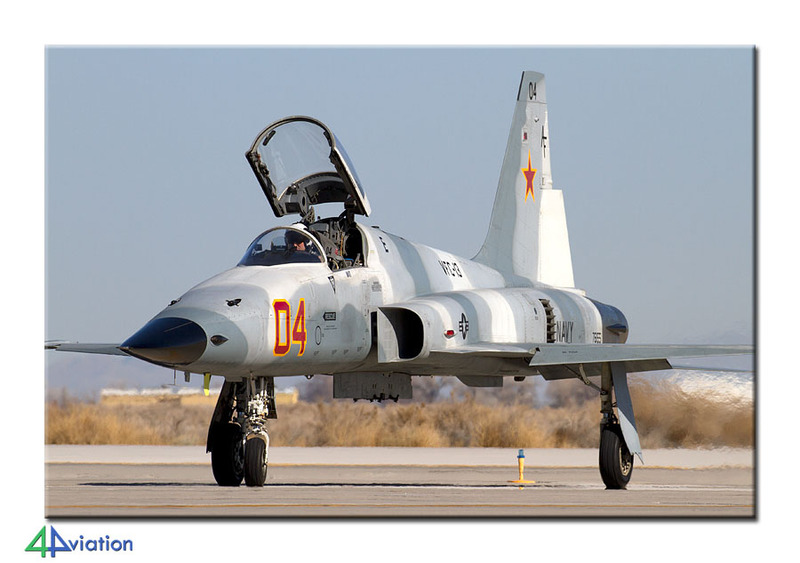 A report of the first to the USA in 2015; main goals were Red Flag at Nellis AFB and the show at MCAS Yuma. On Tuesday 24 February 2015 at 09:15 we met at Schiphol. Of the 16 participants of this trip, there was already one in the States and three flew from Germany to London Heathrow. The flight to Heathrow was smooth and soon we were complete and could proceed with the trip to Phoenix IAP. Again we flew with the good old British Airways B747. After a successful flight we arrived in Phoenix at the beginning of the evening. Luggage and the three vans were quickly picked up and we went to our final destination of the day, our hotel in Tucson. On Wednesday 25 February we got up early because normally the 162nd FW starts flying early. The weather was nice so we were excited. 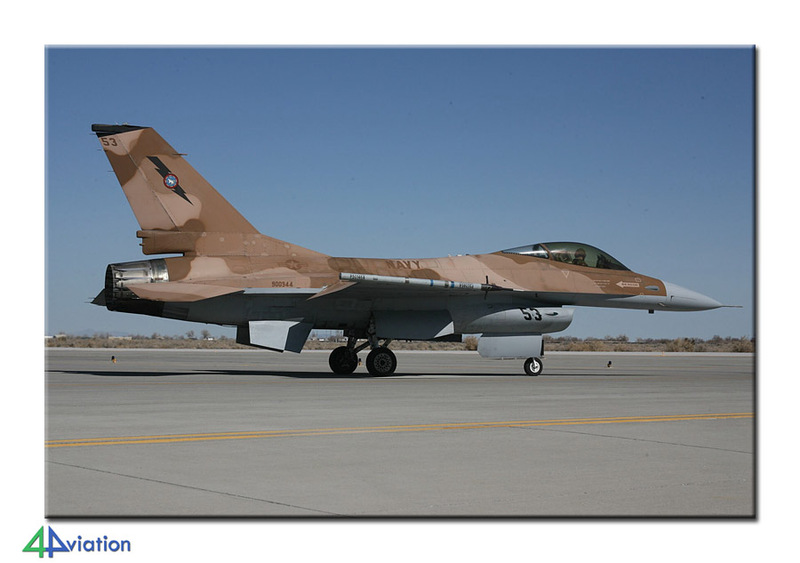 Unfortunately, the 162nd FW had night flying on their schedule for this week, so no F-16s. We did see a NV ANG C-130H take off. Under the sheds, we saw the Iraqi F-16s. Because there was still no flying we decided to move to the approach at Davis Monthan AFB. This was a good choice because here they flew. Some members of the group visited the Pima Museum and did the AMARG tour and the group was complete again in the approach at the end of the afternoon. The wind changed and they flew from the Pima side. Highlights were the arrival of several P-51s, two F-22As from Langley, three F-16s from Shaw, various 162nd FW Vipers who came over and a C-5A that came in for his last flight (this was an arrival for the 309th AMARG). 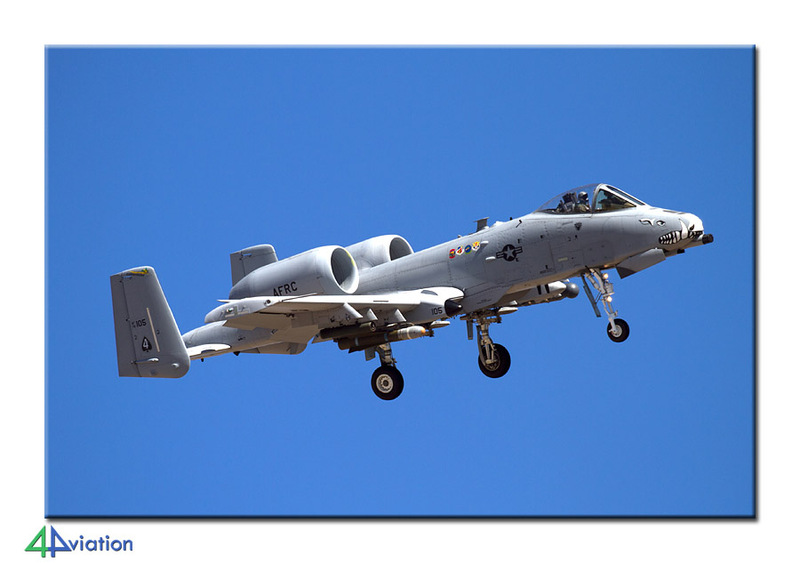 Also, the local A-10s flew very good with 8 out of 10 Maryland ANG A-10C that were here temporarily. The many warbirds, both Raptors and Viper trio were here for the Heritage Flight qualification this weekend. 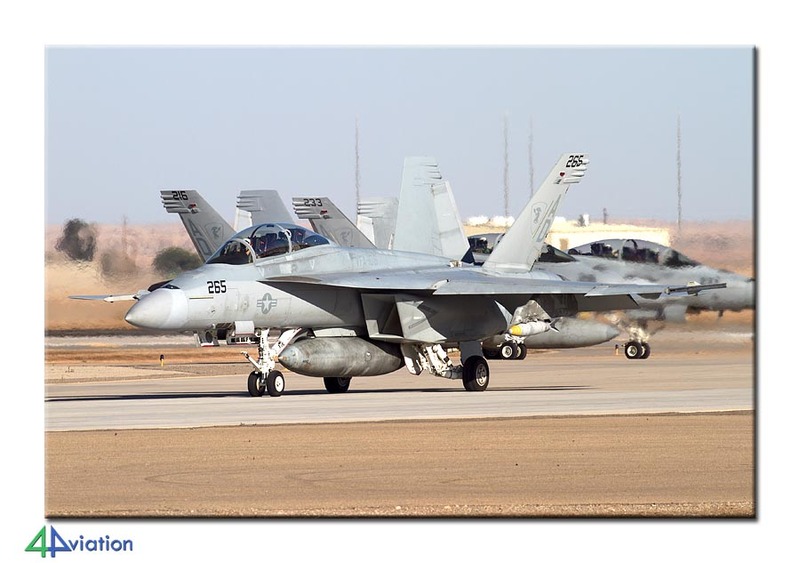 Thursday morning (26 February) started again in Tucson but we soon found that 162nd FW was not flying, despite the activities among their aircraft. 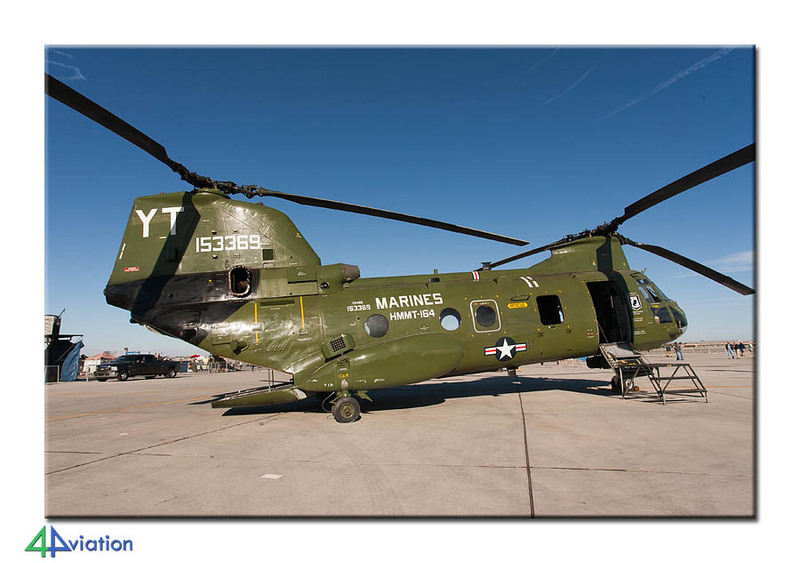 Soon it was decided to go to Davis Monthan. 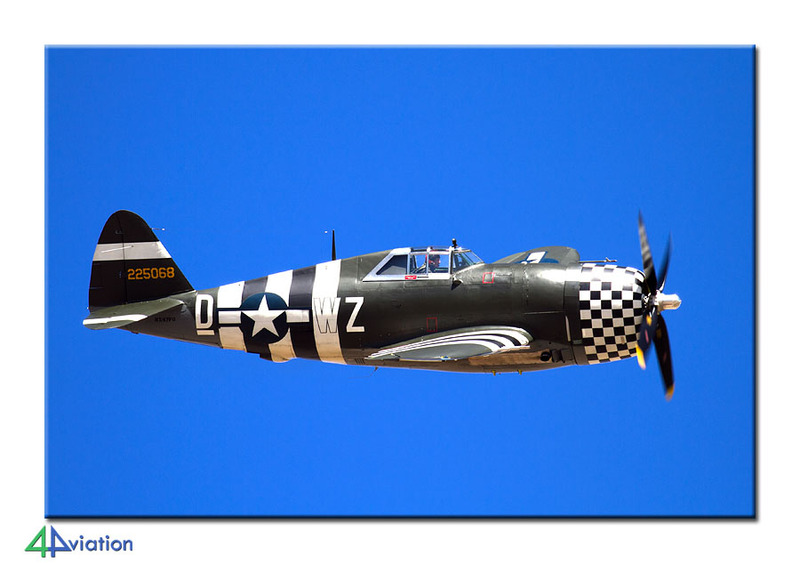 Three of the group remained at Tucson because flying would start around noon. At DM meanwhile the Heritage Flight was practicing. 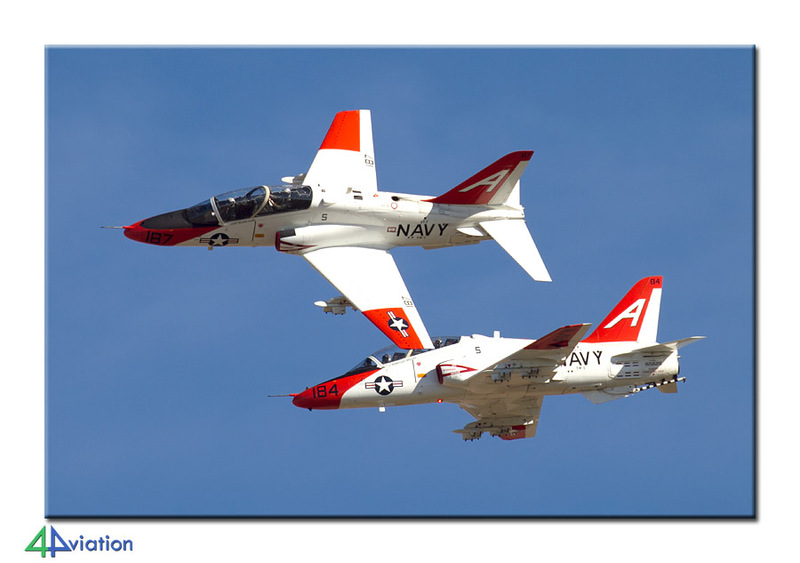 There were also two C-2A Greyhounds and the Maryland A-10Cs flew their missions. 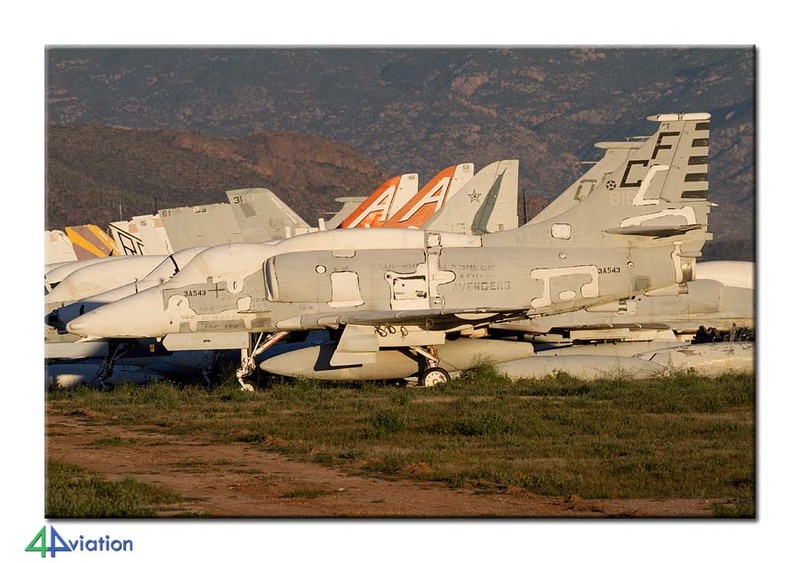 The three people in Tucson were lucky that they caught two Iraqi Vipers for the lens. The driver who was on the way to pick them up was also lucky. Unfortunately the text message was not received by the rest in time. 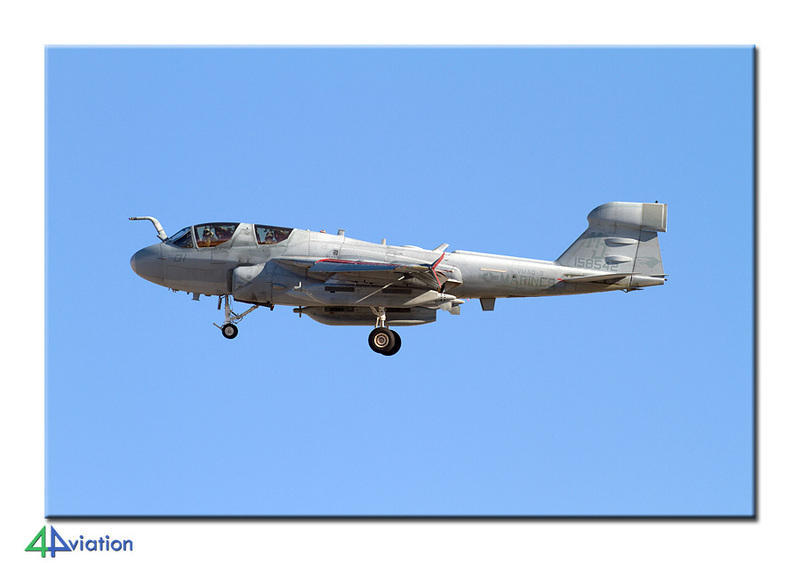 After everyone joined at Davis Monthan AFB it was decided to go to the approach of Tucson. Unfortunately, no more Iraqi Vipers in the air; but the Dutch and local Vipers, one of them in tiger colours, made up for that in large numbers. A German A310 arrived. Because we had to drive a few hours to Yuma we left around six o’clock. In Yuma the group was completed with the 16th man. He had been here a few days and now joined the group. Friday morning 27 February we left for El Centro at seven. 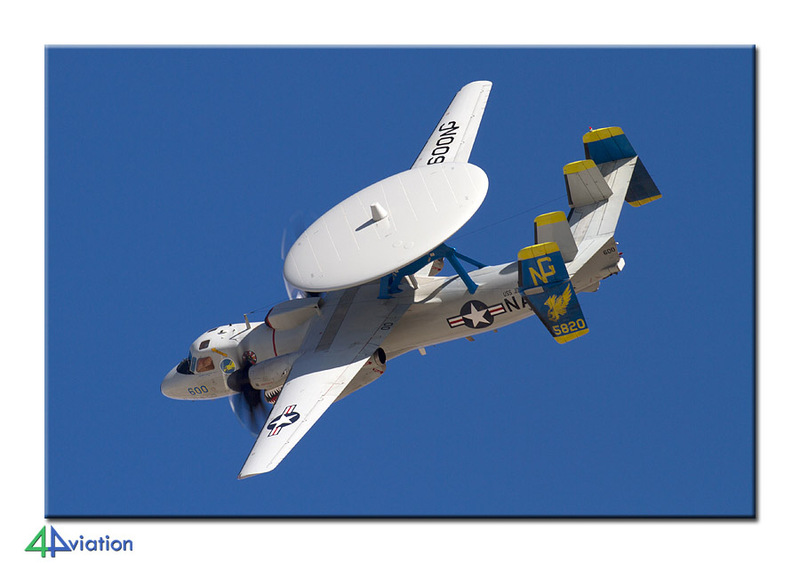 At Davis Monthan we had heard that there was plenty of activity. We quickly found a great spot and it was already very busy with Hornets and T-45s. Outside the fence you stand perfectly although you have to watch out for is heat haze. By noon back to MCAS Yuma to check for more incoming planes for the open day. 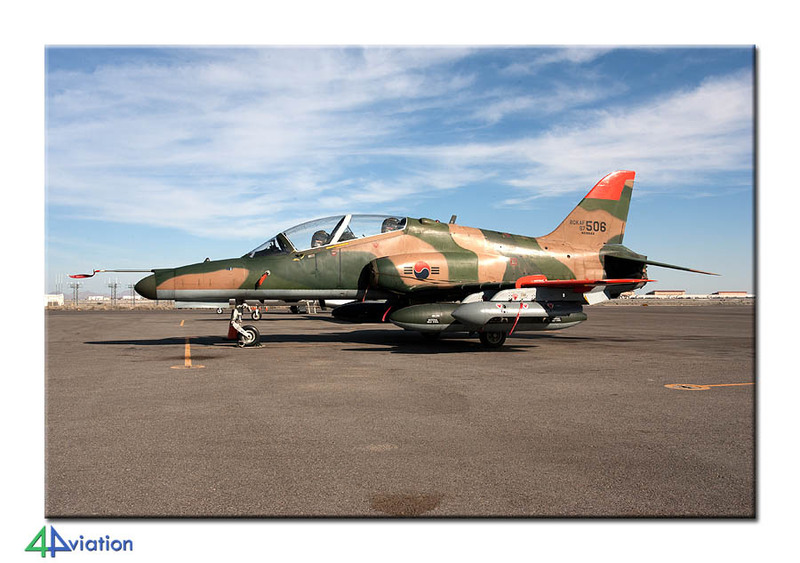 On the civil ramp we noted a South Korean Hawk, with original markings and a T-38C from Sheppard. These were photographed. At that time a KC-130J took off and a B-52H of Barskdale landed. On the civil part there were also five ANG C-130Hs which we could shoot. These were stationed here temporarily. We attended the evening twilight show but that was very disappointing; only an F-35B flew while it was already dark. 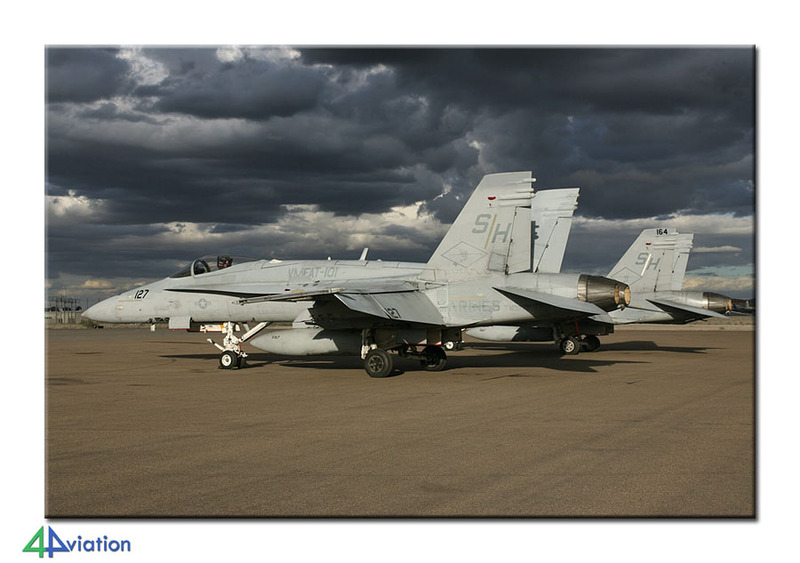 Two F/A-18Cs and an F-5N from VMFT-401 landed, but they were parked on the civil side. The static was off limits so we were back at the hotel again rather early. 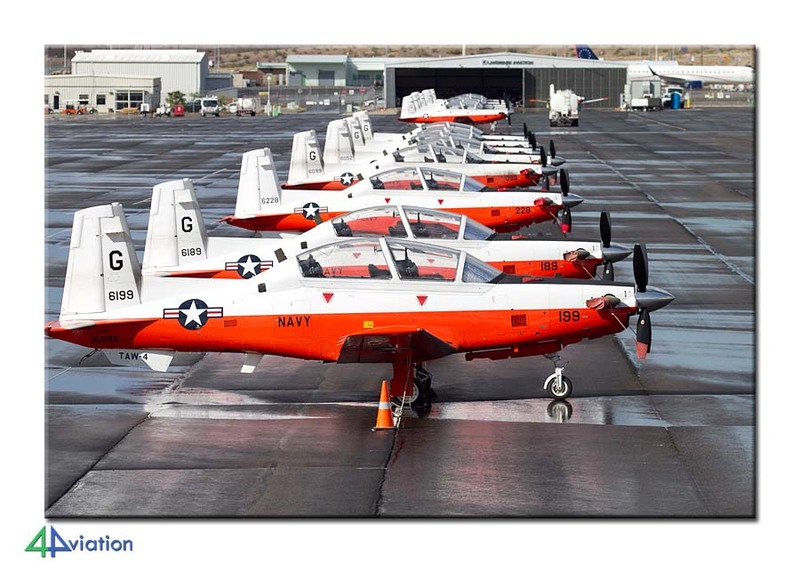 On Saturday (28 February) an early departure for MCAS Yuma to try and beat the crowds to the show. It took a while before the bus finally drove off. In the meantime, the five ANG Hercules took off so their deployment seemed over. The security checks went very quickly and we were able to photograph most aircraft without any or with very few people. 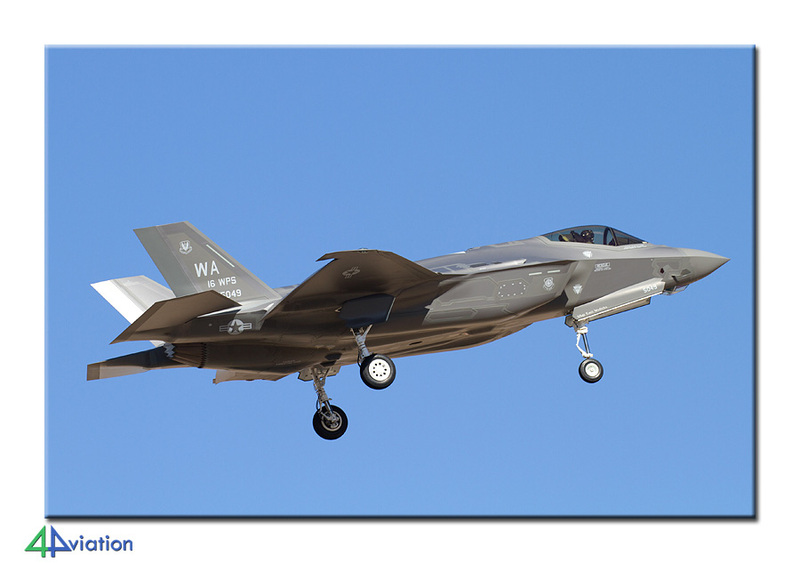 Compared to yesterday evening there was only one F-35B added to the static. We quickly found a good spot at the fence. This was becoming increasingly difficult as more and more areas for VIPs and various local associations were fenced off. The air show is very limited in terms of numbers but nice in terms of aircraft; a formation with four F-5s of which the first one was an F-5F (Frankenstein; a former F-5E of the Swiss Air Force), followed by three F-5N aggressors in various colours. Then the MV-22B, AV-8B and finally the demo of an F-35B. After the F-35 display most people left the field and the static was pretty empty, we decided to wait a while to photograph a few aircraft without people. Unfortunately, the security forces thought otherwise and they swept everybody of the airfield. We decided to go to the civil part because here an E-2C and F-5N had arrived the previous. Fortunately, the two Hornets from last night came back in (they had flown a morning mission). We talked with the Hornet crew and they were willing to walk with us to their Hornets to photograph them. 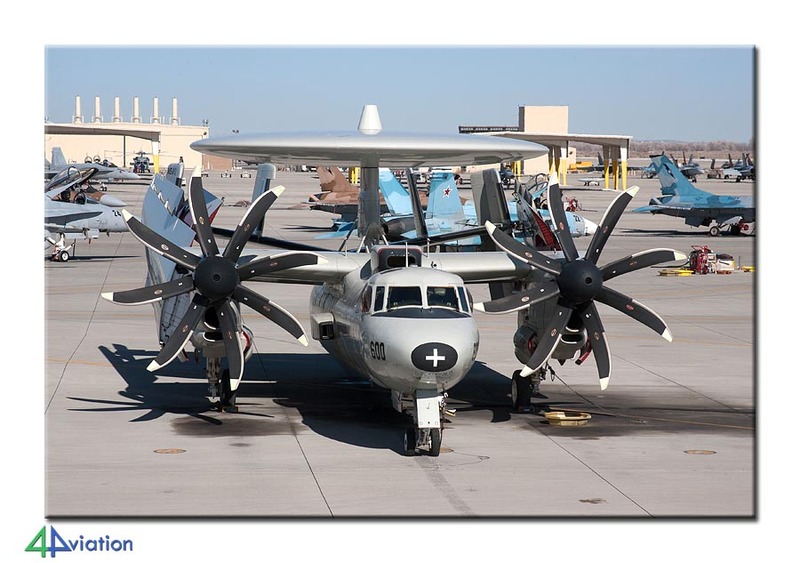 The E-2C happened to be on the same ramp… All were nicely captured on camera and we also managed to take a group picture. The pilots had all the time in the world and were very friendly. A nice end of the day. After three nights in the same hotel we headed north today (Sunday 1 March). When we got outside in the morning it was raining; something which does not happen too often here. On our way to Williams Gateway, our goal for today, we visited a few wrecks and relics. At 13:00 we met with a US spotter (and slides collector) who was kind enough to take some steps. This was not necessary because the B-29A “Fifi’ was parked on the ramp which we could enter on foot. 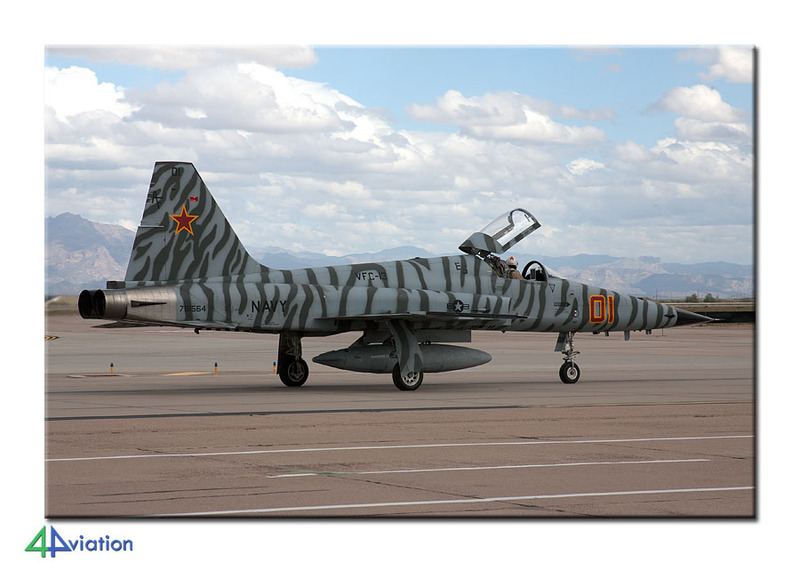 Also here in the sun was an F-5N of VFC-13 (Fallon) and we could take lots of pictures of its departure. One car went to the museum in Mesa. After they returned all of us drove from Williams Gateway to our hotel in Phoenix. We drove by the civilian airport and noted some AZ ANG KC-135Rs but there were no more visitors. Despite a rainy start and few planes at Williams Gateway we still had a fun day. 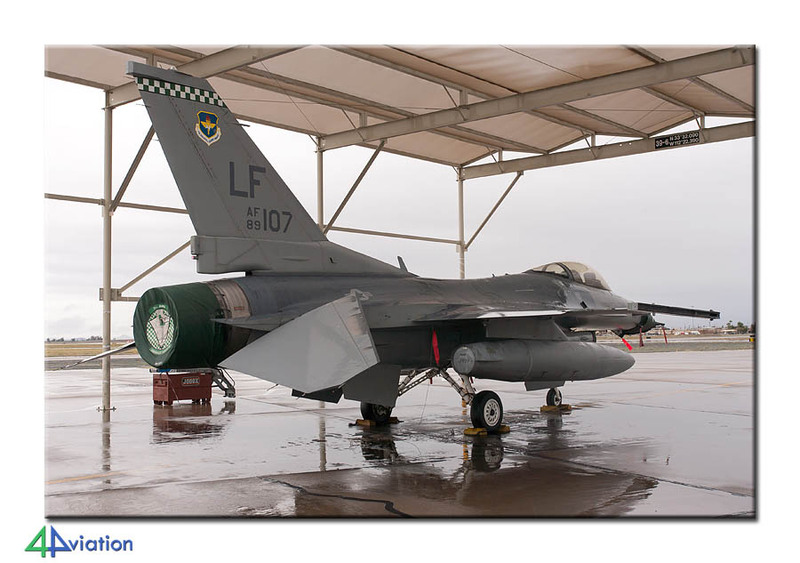 Also Monday 2 March began very wet; today a visit to Luke AFB was scheduled. We had to report at the gate at 08:30. Everything was perfectly arranged in advance and with a pass and a getting on base with a chartered coach (we were not allowed with our own vans) on the field. First, a visit was made to the control tower. Two F-16s took off but these were hardly seen through the bad weather. Too bad! 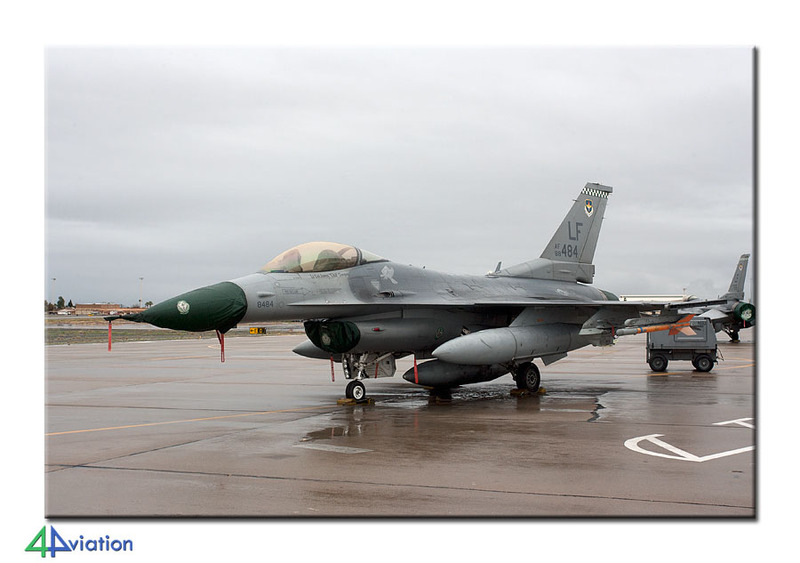 Then we were allowed to photograph the F-16s from 308th FS under their sheds and the two returning Vipers. Very unfortunate that the bad weather hampered the very nice itinerary for our visit. On the way to the gate we photographed the gate guards and while it was still raining we left the base. On our way to Las Vegas we made a tiny detour via Laughlin Bullhead IAP on the border of Arizona and Nevada. In the Netherlands we had already learned that the Navy were here temporarily with T-6s. 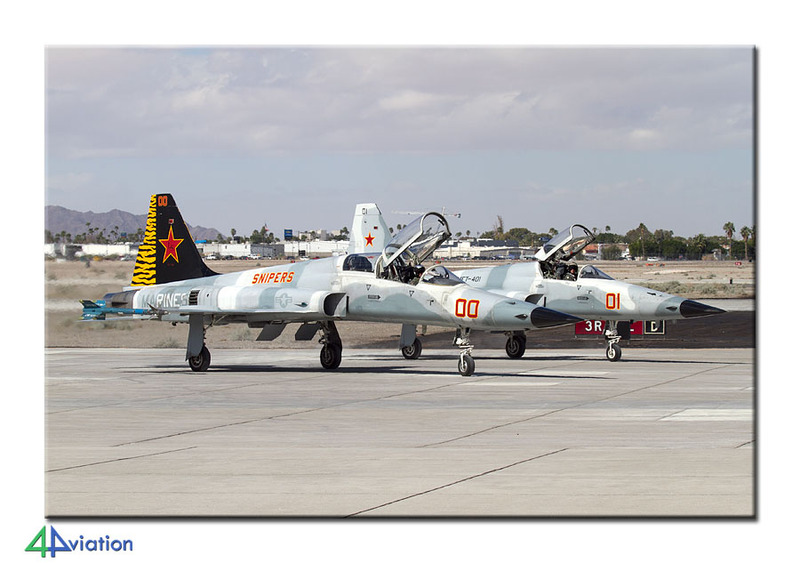 The field was easily found and also the ramp with twenty T-6s, which was nice to shoot from higher grounds. We then asked at the squadron to take some more pictures and soon we were on the ramp among the aircraft. Flying started so what more could you want. It was dry and the sun showed itself with beautiful skies in the background. 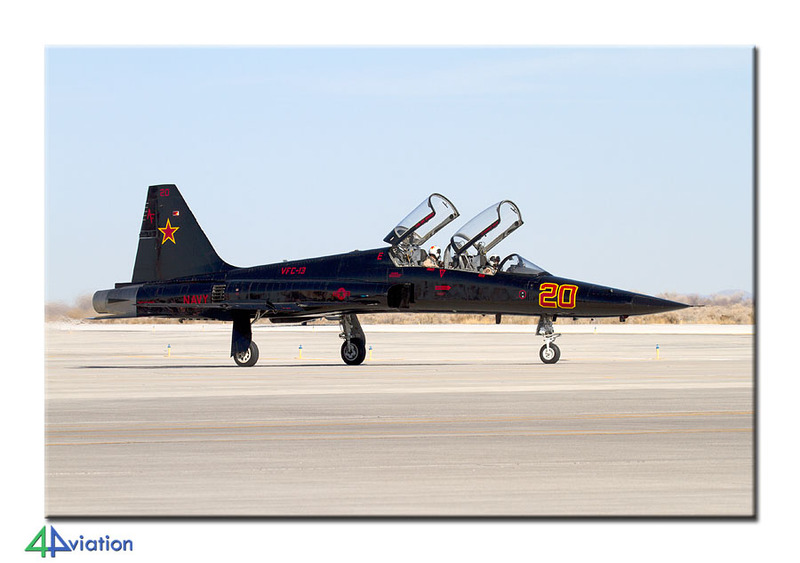 On Tuesday (3 March) on time from our hotel in Las Vegas to Nellis AFB to see Red Flag 2015-2. It is always difficult here to find out which runway will be in use. We eventually ended up at the Speedway and here we noted the Red Flag mission take off and return. Especially the B-1Bs and B-52Hs came by spectacularly, just like the fighters, was very nice to see. This time a lot of F-16 units participated, and also the Aviano F-16s still flew their missions. Foreign participants were Norwegian F-16s and Mirage 2000s from the Emirates. The local aircraft flew very well as they normally do. We had another visit scheduled for Wednesday and perhaps other runways would be in use. Wednesday 4 March. Like yesterday we started at Cheyenne Avenue. 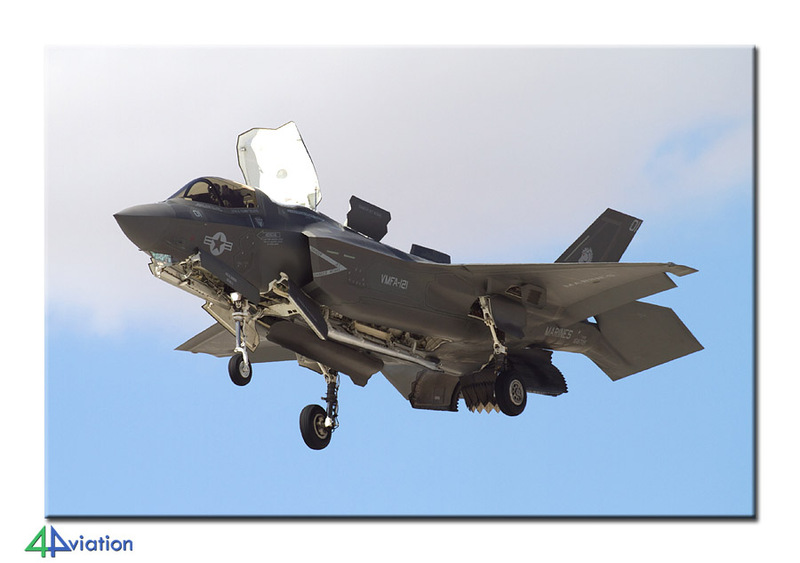 The first F-35A and Raptors and arrived early and could be captured properly. The Aviano F-16s from Red Flag 2015-1 again flew well. By noon we moved to the Speedway to see the aircraft departing, especially the Aggressors departed properly on their side over the Speedway. At one point they changed runways so we had to relocate again. At Cheyenne Avenue we saw the arrival of the Red Flag participants. In terms of shooting was better than yesterday. 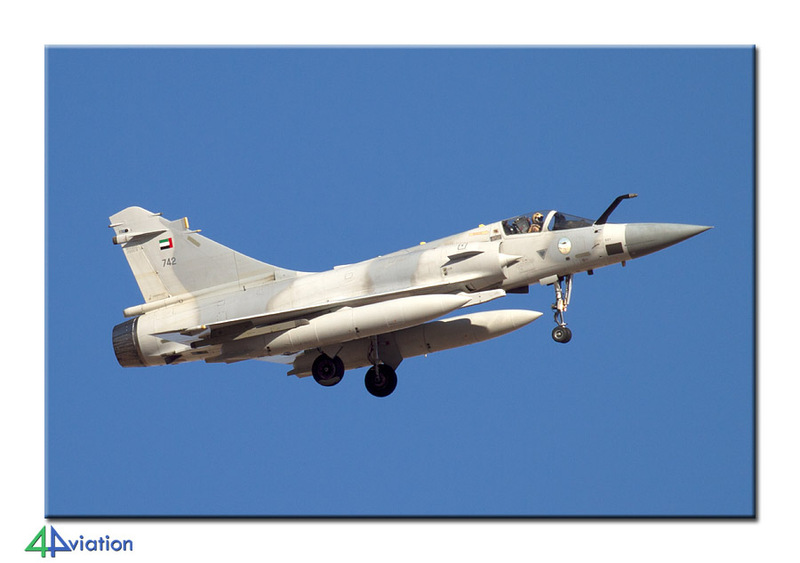 Today, the E-8C flew in the daytime, and again the Emirates with their Mirage 2000’s. There were activities all day. At dusk we headed for Death Valley, our hotel in Beatty. After arrival we had a group diner and then of to bed. It was pretty cold outside, at freezing point. On Thursday 5 March an early start again and around seven on our way to Rainbow Canyon, Death Valley. Meanwhile one of the participants felt cramped at these heights. With the information we received on forehand and from exploration from last year, we could find the first spot soon. 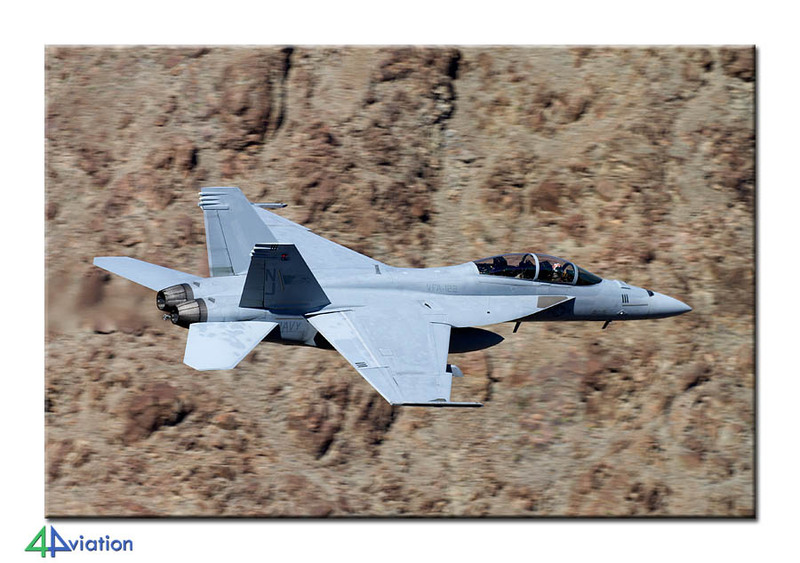 We were there when the first two F/A-18Es entered the canyon already. You see them enter only very late. Very cool to see! After standing a bit further down the road, we were more in the middle of the canyon. 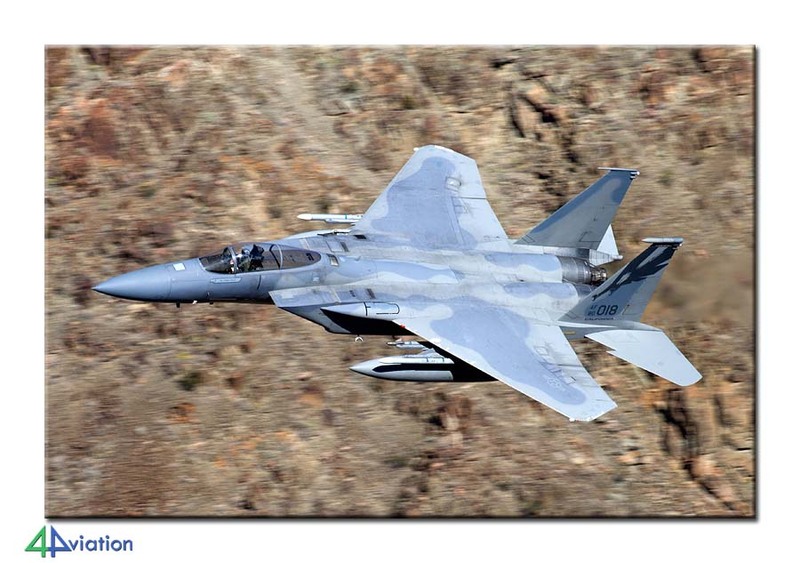 Suddenly on the right an F-15C of 194th FS California ANG slammed low in the canyon (and his wing man just above the canyon). You have be alert out all the time. 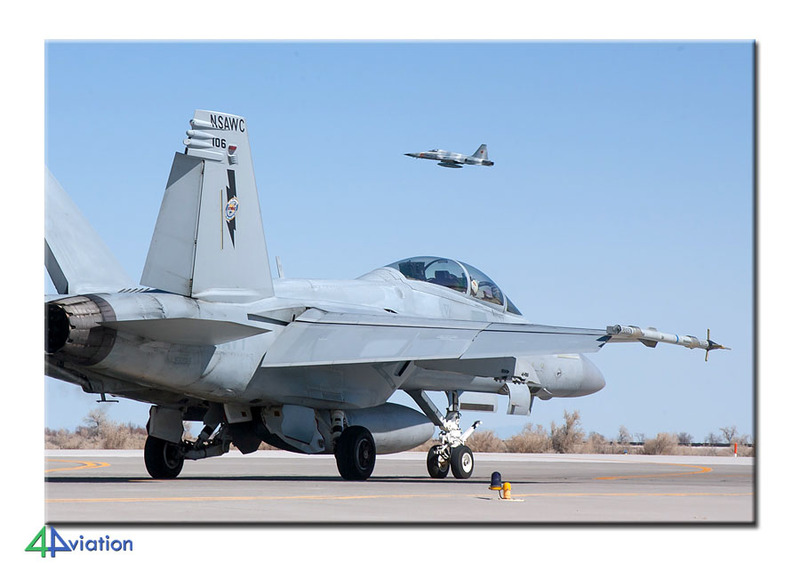 During the day a couple of F/A-18E/Fs and EA-18G were noted. It is a beautiful area and it’s really quiet there. You hear no noise at all. At about four we got in the car for a five hour drive to Fallon. It was a nice drive and on the way you see hardly any civilisation. Around half past ten we arrived at our hotel (we had already eaten on the way). During the night we went to the local hospital because our companion was not feeling well. After some checks we had to leave him in the hospital. 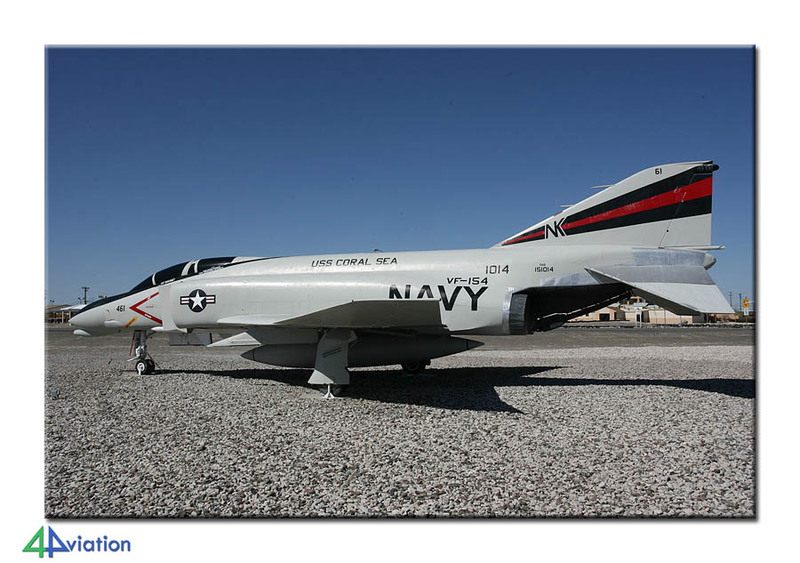 Friday morning 6 March we had a visit at NAS Fallon. A visit many had been looking forward to very much. It was cold but clear blue and the temperature rose quickly. After arrival the formalities were handled quickly by our contact. He knows exactly what we want and as long as we followed his guidelines everything was fine. The NSAWC ramp was filled. There was a detachment of (part of) the Carrier Air Wing from Japan and their aircraft flew many missions, along with the Aggressors VFC-13. 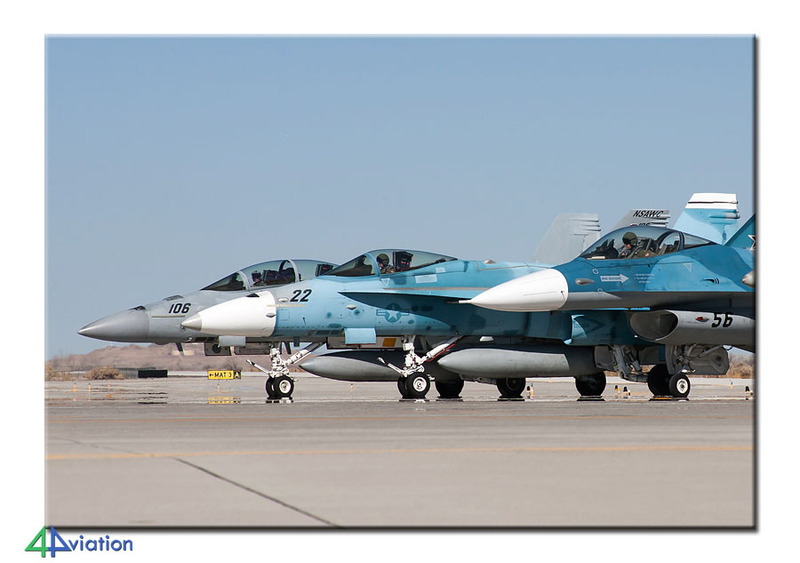 F-16s, F-5s, Hornets, Growlers, E-2Cs. Everyone had put on plenty of clothes but the coats were taken off quickly. On the way back first a visit to the gift shop and then the museum collection was photographed. A wonderful visit and everyone was very very pleased. It was around one o’clock when we left the air base. It was time to visit our companion in the hospital to see how he was doing. Unfortunately, he was not yet allowed to leave and with luck maybe Saturday… We quickly consulted and two cars left for Beatty to drive to Las Vegas the day after for some civil spotting. The other car with four people remained in Fallon. In the evening we again went to the hospital and then a nasty bacterium seemed to mess things up again. The chance that all of us were heading for Las Vegas tomorrow became smaller …. On Saturday 7 March the alarm clock was set early because it is about six hours from Fallon to Las Vegas. After a hearty breakfast off to the hospital again. The doctors were already waiting and after much doubt our companion was allowed to come along. We left for Las Vegas at nine o’clock. In Tonopah we made a short stop. Just before Las Vegas, the phone rang; the doctor of the insurance company in the Netherlands strongly advised our companion not to fly and visit a hospital in Las Vegas. That is what we did and we had to say farewell to our traveling companion. Then off towards the airport where the rest of the group had already handed in the cars. When the third car was returned, 14 men checked in for the flight to Heathrow IAP. The flight went well and we arrived on time at Heathrow. It was now Sunday 8 March. The stopover at Heathrow lasted a few hours. The three German fellow travellers said goodbye and went on their own back to Germany. The rest went to Schiphol inside an A320. The luggage was picked up again and we went home satisfied. It was tiring but very rewarding. Also in terms of weather we could not complain afterwards. A week later our last man arrived back in the Netherlands from the USA. At that time our trip was really over! Bedankt voor de goede organisatie, de vriendelijkheid en flexibiliteit tijdens iedere trip.